Very good and easy to put cart in. Absolutey excellent in combination with C2i trolley. Protects the trolley during transport, when packed the trolley is more stable, collects possible dirty from the trolley to go around in the car. Very easy to pack and unpack and useful not to scratch the trollay while folding/unfolding it. 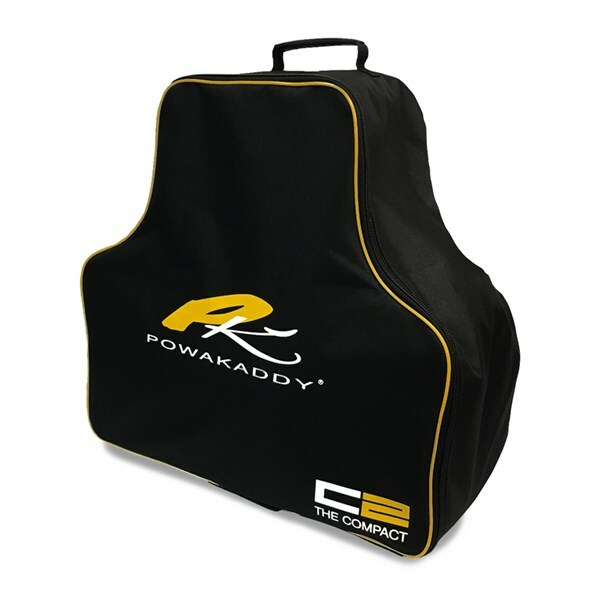 Essential when buying Powakaddy C2i. Great for storage and keeping your trunk clean. Easy to use. However not so good for carrying the trolley around because of the trolley wheigh. It doesn’t provide much support and may get damaged. Makes the trolley look bigger than it actually is. great for putting my trolley in after a round of golf. Keeps my car boot clean. They have been a little sparing with the material! Another 2cm all round would life a lot easier. Storage bag works very well with new C2 Compact trolley. Good quality & easy to transport using carry handles. Every golfer needs a strong and sturdy travel cover for their electric trolley. 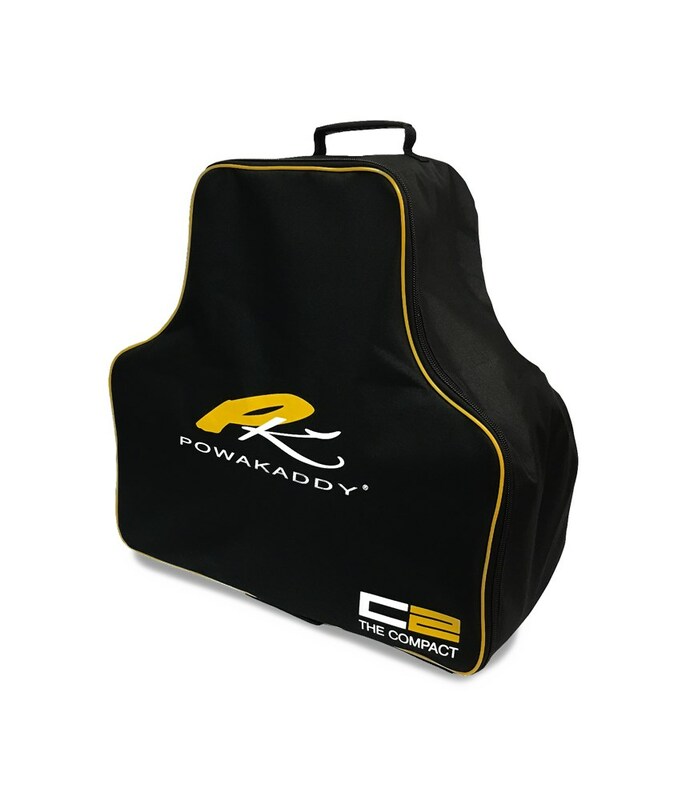 For those with the 2017 PowaKaddy Compact, this is the Travel Cover you need. The 2017 Compact travel cover has been constructed with a strong durable and lightweight material for longer lasting quality. The material in question is a high strength nylon that help keeps mud, moisture, and debris in the bag ensuring the boot of your car remains as clean as it was before you went golfing. As well as being strong and robust the bag also features padding inside, this is to ensure your trolley remains safe and secure. The cover features easy grip handles to help to get the trolley from storage into the car and then out again at the golf club. For safe locking there features a doubled zip for fast and easy access to your Compact trolley.